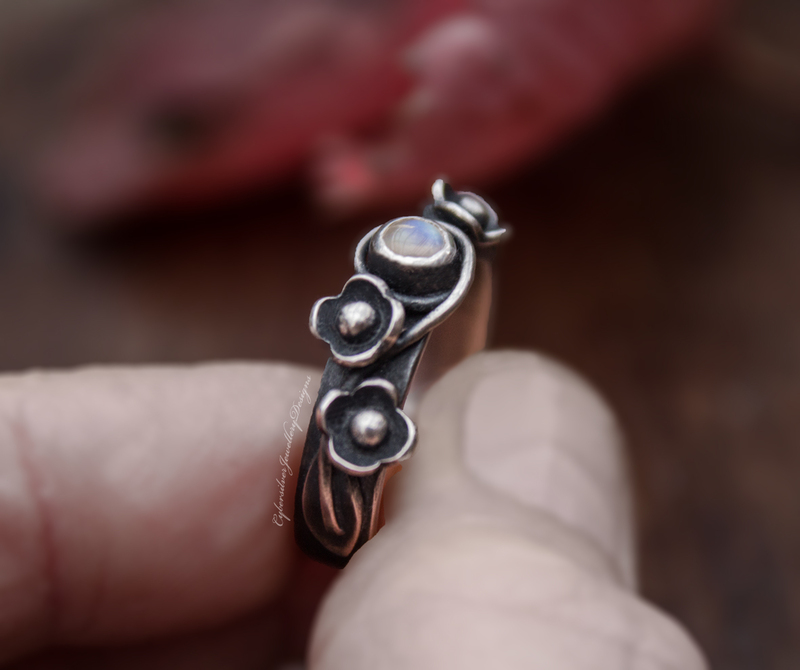 A beautiful blue moonstone posy ring, entirely handmade from sterling silver and decorated with three silver flowers. Each flower has been hand cut from silver sheet and formed into these pretty flowers. The flowers are entwined by a twirly vine which is finished with two hand cut silver leaves. 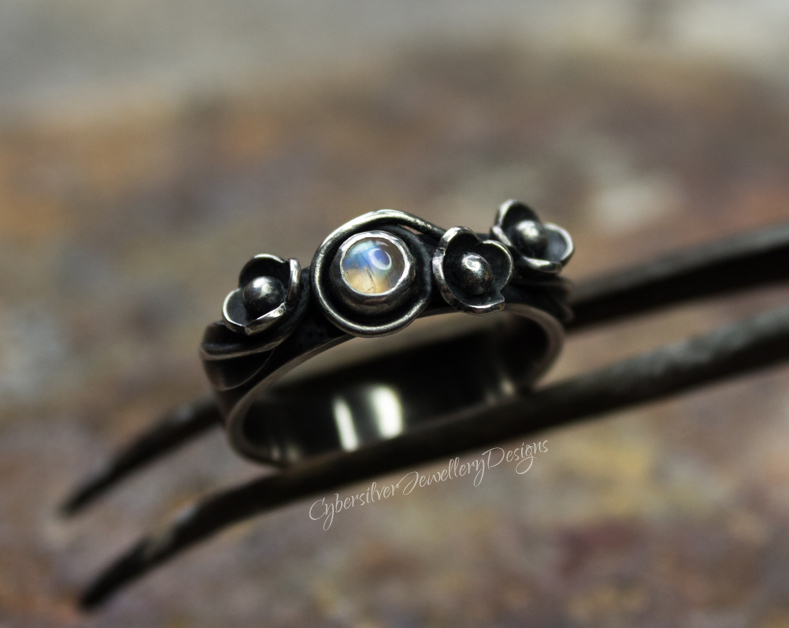 Nestled amongst the flowers and encircled by the vine is a beautiful blue moonstone. The silver has been oxidised and burnished to highlight the details and the ring is then given a layer of special microcrystalline wax to help protect the oxidised surface. ​Royal Mail will only insure precious jewellery using these delivery methods. ​Moonstone is a stone for new beginnings - a stone of inner growth and strength. It helps to soothe emotional instability and stress and provide calmness, balance and harmony. It is a stone strongly associated with women and feminine wisdom.